Washington-Dulles International Airport and Volaris Costa Rica, an ultra-low-cost carrier operating in Central America, Mexico and the United States, celebrated the Washington, DC, region’s first low-fare service to El Salvador and Costa Rica on Thursday with delegations from the Embassies of El Salvador and Costa Rica, the Commonwealth of Virginia and the District of Columbia. 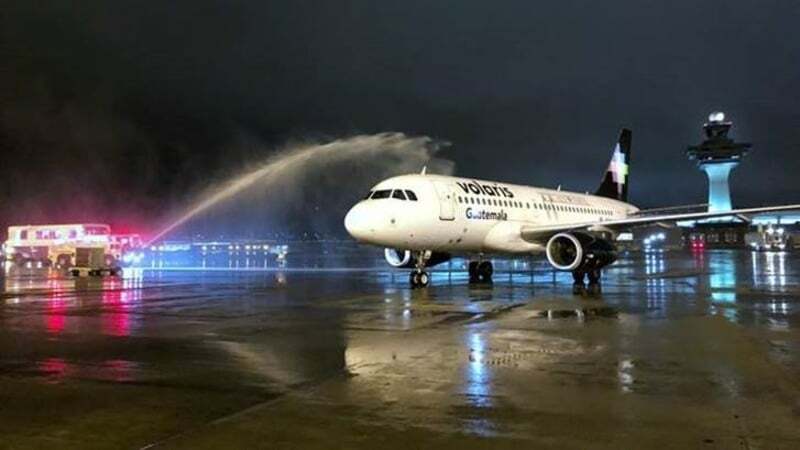 Operated by Volaris Costa Rica, the route originates in San José, Costa Rica, with same-plane service to the Washington, DC, region via San Salvador, El Salvador. The new destination expands carrier service to three US destinations, following recent launches to Los Angeles and to New York.